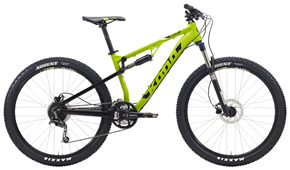 At Kona we’re proud of our ability to create mountain bikes that create mountain bikers while allowing existing riders to expand their horizons. Our Precept line is distilled from the Process and Operator lines to give any rider a solid and super-affordable chassis to ride it all and ride it well. For 2015 the Precepts return, keen to convert many more to the church of rip-roaring, dual-suspension mountain biking.